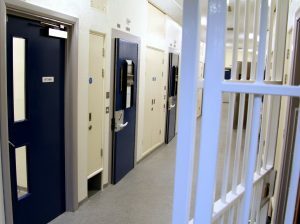 Cumbria’s Police and Crime Commissioner, Peter McCall, is seeking to recruit volunteers for the Independent Custody Visitors Scheme, with vacancies for members on the North Panel, who cover the custody suite at Durranhill Police Station, Carlisle. Peter McCall explains: “Custody Visitors make weekly unannounced visits to all of Cumbria Police’s designated custody facilities. Custody visiting is a national scheme and is a vital service to provide reassurance to the public that people who are arrested and detained in custody are afforded their legal rights and treated appropriately whilst in the cells. “Cumbria has four dedicated panels of visitors who visit every week of the year in pairs at all times of day and night. They report on both the welfare of detainees and conditions within the Police Station and help to ensure that both Police and the public can have the highest confidence in the safety and welfare of those who are detained. The Scheme provides full training and support and members have the opportunity to attend regular meetings and conferences to develop their skills. The posts are voluntary and unpaid, but travelling expenses are reimbursed. There are currently vacancies on our North Panel. If you live in north Cumbria and would be interested in volunteering for this valuable public service role, you can get more information from the Police and Crime Commissioner’s website at www.cumbria-pcc.gov.uk/recruitment or you can call the Scheme Administrator on 01768 217734 for more detail. The closing date for completed application forms is noon on Friday 31 August, with interviews expected to be held on 12 September.